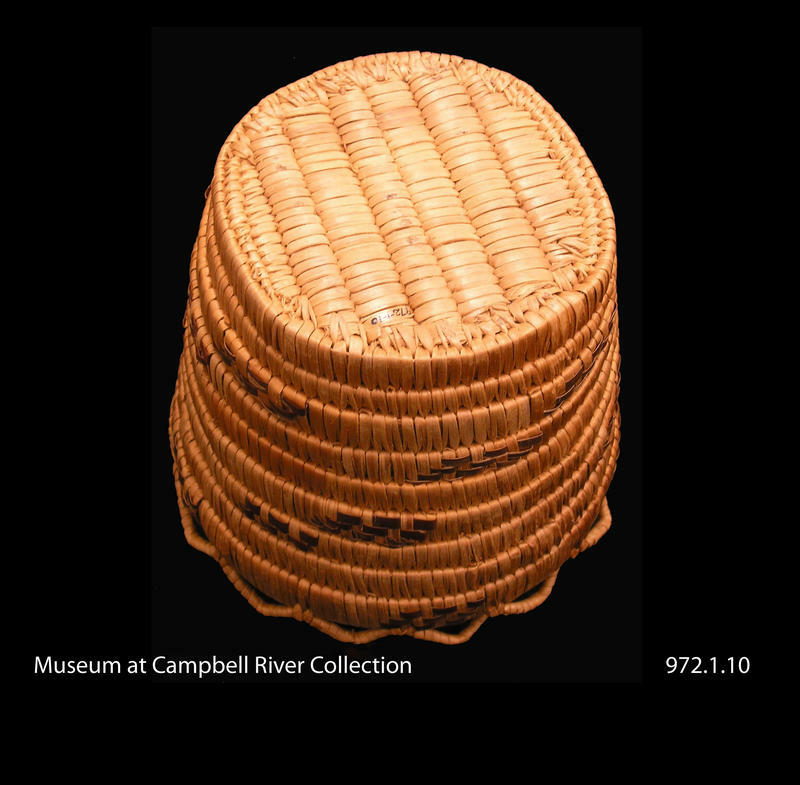 Northern Coast Salish slat coil basket. 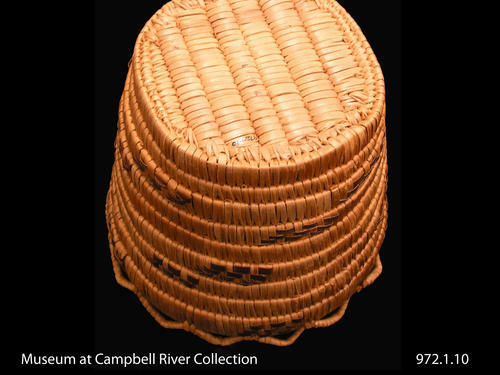 Round base has slat construction like the wall. 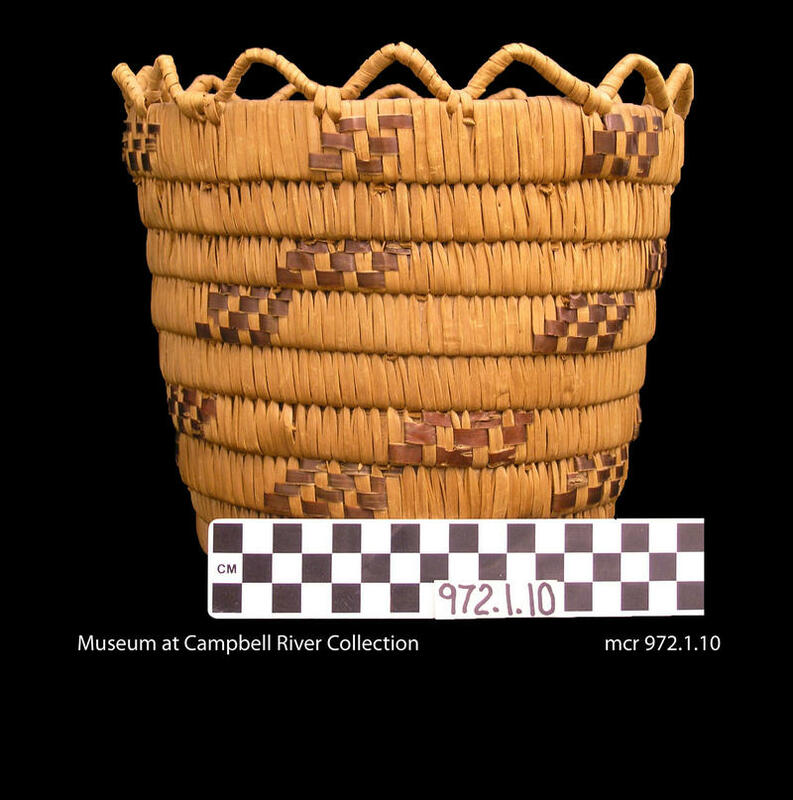 Coils composing the basket wall gradually increase in diamater toward the mouth giving the basket a slightly flared shape. Walls: 9 slats high. 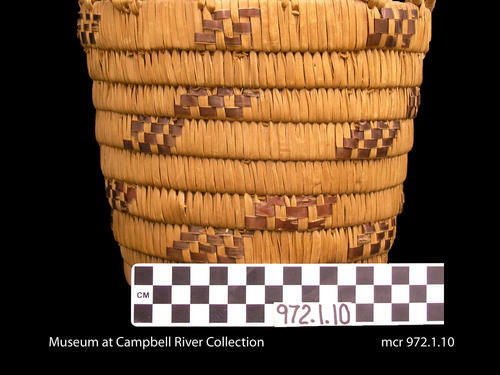 Base: 7 slats wide. 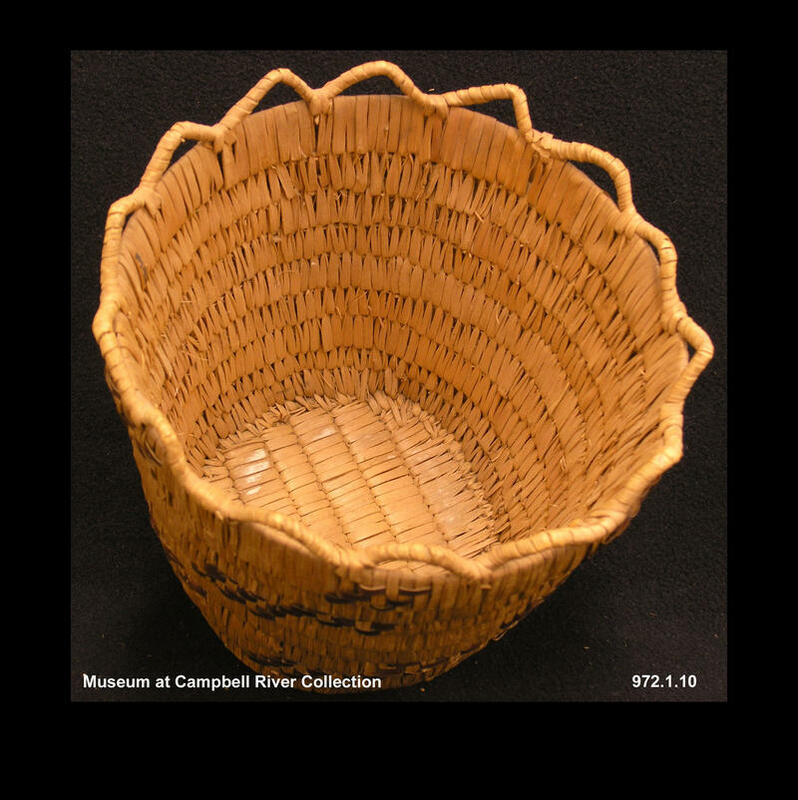 Basket rim is trimmed with loopwork, the core of which is a single strand of cedar root. Walls: 9 slats high. Base: 7 slats wide. Techniques: slat coil, loopwork, beading. Decoration: Clusters of two and three forward slashes rendered in dyed black bitter cherry bark. 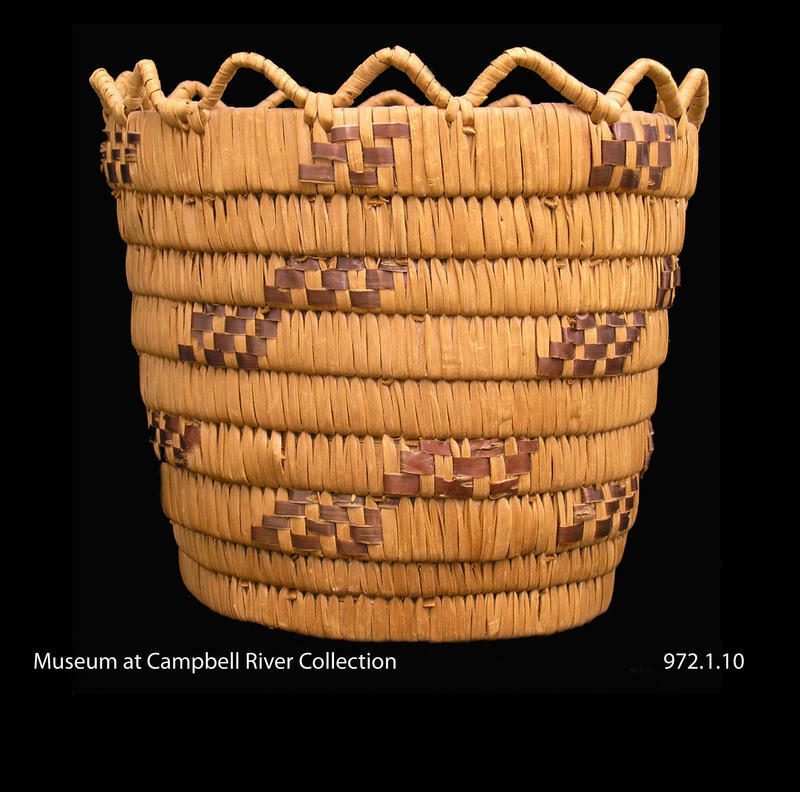 Comment: When this basket was donated to the Museum at Campbell River no information about the maker was available. 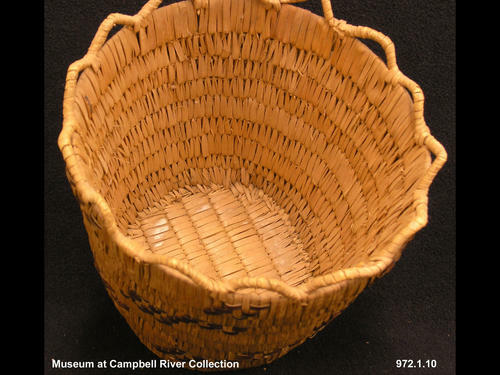 It is said to have been traded for old clothes sometime after 1929. 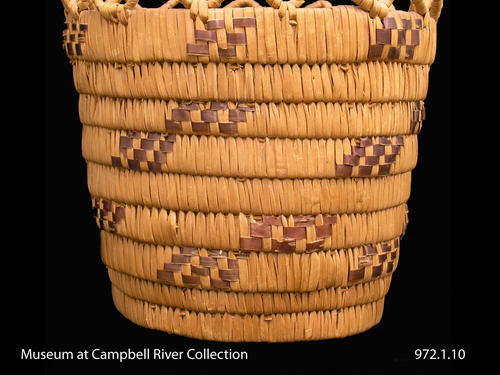 Based upon stylistic attributes, this basket has tentatively been attributed to Katie Dominick.